The feria is a street market that consists of dozens of individual booths selling all manner of merchandise. An entire street is blocked off for the feria and traffic is diverted around this daily market. The feria is moved to a different location every day of the week. After one week, the location is back where it started 7 days prior. What can you buy at the feria? 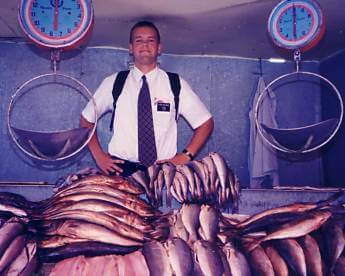 The majority of things sold at the feria are food and a wide variety of produce including: fruit, vegetables, meats, seafood, and milk. You can also buy clothes, personal hygiene products, furniture, jewelry, toys, books, and more. Pretty much anything you need and even stuff you don’t can be bought in the feria. The feria sings with the shouts of merchants and the buzz of customers shopping and conversing with others. Who shops at the feria? Since the feria moves around daily, there is almost always a day of the week when one is close to your neighborhood. Locals can pick up fresh produce and other commodities they need for the week. Large supermarkets are popping up all over Santiago and in cities across Chile. These are in direct competition with local merchants and the ferias. 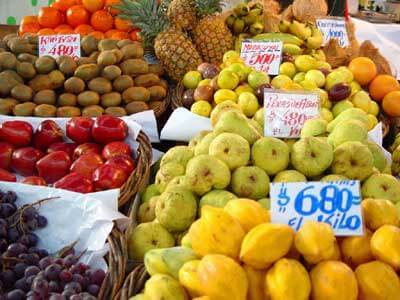 Nevertheless, the feria does provide convenience and fresh produce almost on your doorstep. 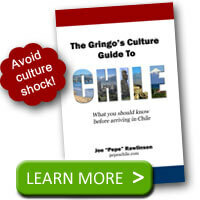 Shopping is a part of the daily routine in Chile. 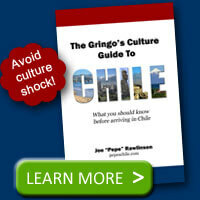 Learn more in the Gringo’s Culture Guide to Chile.